If you have healthcare coverage obtained from a healthcare exchange under the Affordable Care Act (ACA), chances are your policy won't be so affordable next year. A report from the U.S. Department of Health and Human Services (HHS) shows the premiums for the average benchmark policy sold on the Healthcare.gov exchanges will go up 25% in 2017. But the report also notes that policy holders who receive government subsidies won't pay all of that – the taxpayers will. Consumers with ACA policies who do not qualify for a subsidy will have to shoulder the entire increase. Of course, 25% is just the average. As we reported earlier this month, policyholders in Minnesota, which operates a state exchange, face much steeper increases in premiums. Minnesota Commerce Commissioner Mike Rothman, in reporting the average premium would surge as much as 67%, said such increases are not sustainable. Nationwide, the HHS report says the average benchmark premium is rising from $242 to $302. The government says insurers have adjusted premiums after analyzing two years of data. As for the insurers, many have said they are losing money under the system, in part because several key assumptions haven't been met. For example, the health care law requires all consumers to purchase health insurance or pay a fine. But many young, healthy people have chosen to pay the fine. Most of those signing up for insurance have been older and in poorer health, requiring more expensive health care. Despite the premium increases, the government says the cost consumers actually pay, after receiving a government subsidy, remains fairly low. HHS says 85% of consumers with ACA Marketplace health care policies receive tax credits that pay a portion of the monthly premium. Those tax credits, however, add to government red ink. 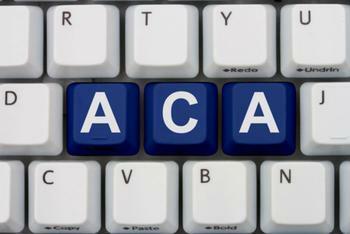 At the same time, consumers with an ACA policy, may have to make changes during the current open enrollment period, as major insurers have either reduced the number of policies offered or withdrawn from the marketplace altogether.